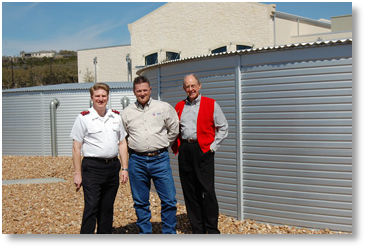 The Texas Water Development Board is pleased to announce that Rainwater Systems, Inc. of Kerrville, Texas has been selected as the winner of the 2010 Texas Rain Catcher Award, in the Non-Profit category, for the rainwater installation at The Salvation Army Ray and Joan Kroc Corps Community Center in Kerrville, Texas. 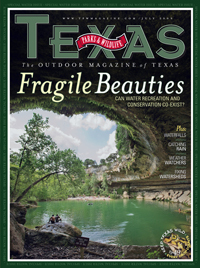 The award will be presented during a ceremony on March 17, 2011 in Austin during the regular board meeting of the Texas Water Development Board. System secures enough water to turn off well. 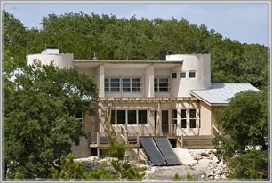 Kerrville Chamber of Commerce Member, Rainwater Systems, Inc., recognized as part of winning team capturing top honors during 2010 International Builders' Show and Annual Convention in Las Vegas.